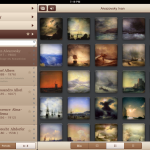 iPad Art Room » Art Collections – Research made easy! 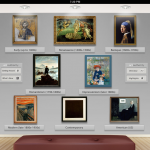 Art Collections – Research made easy! 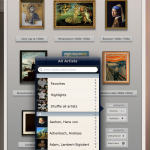 My favourite collections of art and artists are Artists Hall, ArtHDDeluxe and Art Authority. 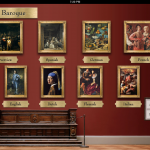 All three are impressive collections ready for students to use in beginning research of movements, time periods or individual artists. Students can be directed to information that is easy to use, accurate and informative. 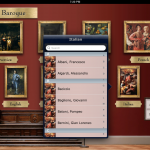 This app allows the teacher to control the content disseminated to students, and in this format browsing is beautiful! 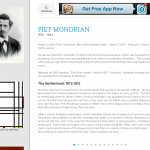 Artpedia is an art themed Wikipedia browser. 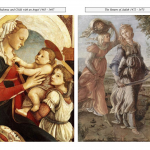 Wikipedia’s extensive visual arts category is laid out in a easy to use format for students to read articles, explore art history and examine art terminology. 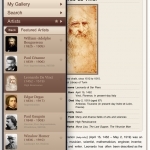 Artpedia allows students to create notes alongside information, share interesting articles via Facebook, email content, and save articles for offline reading with Instapaper. 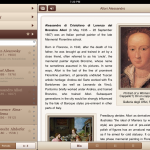 Notes can also be exported via email for use outside of the application. And all this for free. 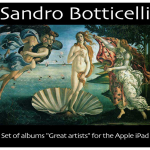 If you liked this post, you might like to see the BEST EVER APPS LISTS!